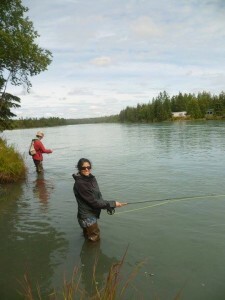 Nicole Kopacz moved to Alaska from Massachusetts to finish her bachelor’s degree and explore Alaska. Nicole earned her Bachelor’s Degree of Science in Nursing as well as her Master’s Degree of Science in Nursing and family nurse practitioner certification from the University of Alaska, Anchorage. Before earning her family nurse practitioner certification, Nicole worked as a registered nurse and case manager in the Neonatal Intensive Care Unit at the Children’s Hospital at Providence Alaska Medical Center for almost 10 years. Nicole joined the LaTouche Pediatrics team during the summer of 2012 and became a licensed lactation consultant in 2015. Nicole enjoys working with children of all ages, from early childhood through adolescence, to develop a partnership with families to optimize a child’s health and overall well-being. In addition, Nicole is working towards becoming a certified lactation consultant to continue to help and promote breastfeeding with our families. When Nicole is not working she enjoys knitting, keeping up with her husband, Ethan, during outdoor adventures (biking, hiking, rock climbing, snowboarding and skiing), spending time with her dog Emma, fishing, camping, cooking and enjoying our beautiful state.